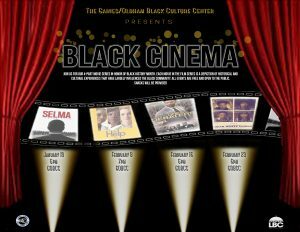 Join us for our 4-part movie series in honor of Black History Month. Each movie in the film series is a depiction of historical and cultural experiences that have largely influenced the black community. All events are free and open to the public. Snacks will be provided. The first installment in the series is the movie Selma and will be shown on January 19th at 6pm here in the Gaines/Oldham Black Culture Center.